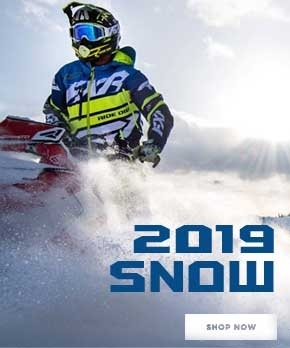 There's no place better than MxMegastore to get you and your winter machines ready to explore and enjoy the cold, snow and ice of the backcountry. Our snowmobile division is stocked with any product you might need this winter season. 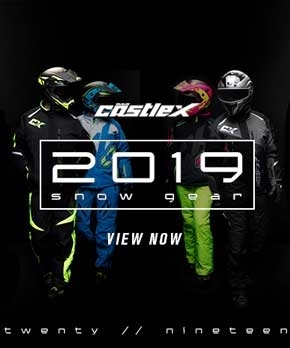 This department can supply you with all the snowmobile accessories and snowmobile gear you need from the top manufacturers and brands including: Klim, FXR, HMK, Castle, Cortech, Arctiva, and Divas SnowGear. Stay warm with our cold weather jackets, snow pants, snow bibs, snow gloves, snow mitts, and winter boots. And if it's a chillier day or you're more cold blooded check out the heated gloves, heated socks, heated vests, heated shirts and heated pants. If the apparel closet is full then we still have shovels, ice picks and snowmobile covers that are sure to fit your needs.